We crafted our education around modern research backed pedagogy, blending broad-based and computing education, intended to inspire the next generation of makers, thinkers and leaders. We believe learning should be inspiring, fun, and deeply personal. The foundation of your education is your relationship with your coach, who works to understand your personal and professional goals to help navigate your journey through college. Your coach is your friend, your mentor and your support system. We believe making is the best way to learn. Our classes are designed around exercises and projects, and serve as scaffolding for the larger scale personal projects that construct your portfolio. Community is at the core of our education, with peers supporting each other in and out of the classroom. Students serve the community as Teaching Assistants, Resident Advisors, Student Council representatives, builders of our software infrastructure, and as friends. You’ll build large-scale projects with teams, experiencing the creativity and challenges of working with others. A social education is essential to your character development and will equip you to engage and succeed in the professional world. 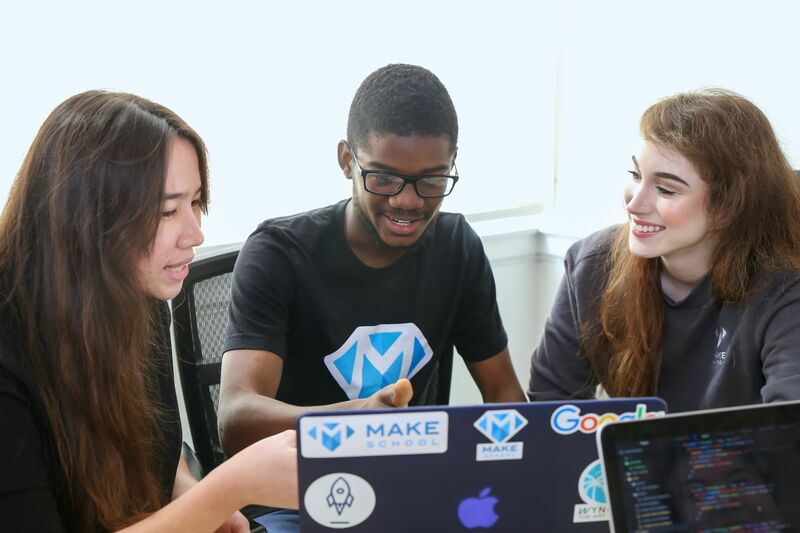 We designed our curriculum with input from tech industry founders, engineers and CTOs and maintain strong partnerships with tech companies and incubators to ensure our education stays relevant. Every class emphasizes the “why” of the topic you’re learning, built around course and program level objectives supporting your career goals. You’ll be evaluated on holistic rubrics to align your learning and progress with a broad set of hard skills and character traits that companies use to define success in the workplace. Modern organizations expect people to bring their whole selves to work, so we expect you to work on your whole self at school. Leaders are defined not by their intelligence or skill, but by their grit, resilience, courage, empathy, candour and kindness. You’ll work to build character through coaching, guest speakers, discussions and group projects designed to help you understand and navigate your personal development and relationships with others. A broad-based education helps round out your worldview and understand the potential for impact and risks of technology in our rapidly changing society. You and your peers will navigate conversations about gender, race, and ethics currently facing the tech industry. You’ll take classes on writing, design, personal finance, and economics to help you develop into a successful professional and engaged citizen. Foundations in computer science are critical to understanding how computing has developed and what the future holds. Through classes on data structures, algorithms, machine learning and artificial intelligence you’ll build the critical thinking and creative problem-solving skills necessary to adapt over a long career in the rapidly changing technology industry. You’ll develop the ability to architect software to solve complex real-world problems. Practical experience in building and shipping real-world software, using industry standard tools and collaboration techniques will equip you to secure and succeed in your first job upon graduation. You’ll choose a technical concentration between mobile and web development and learn the modern languages and frameworks in demand with employers. You’ll enter the workforce knowing how to communicate with stakeholders and design great products.